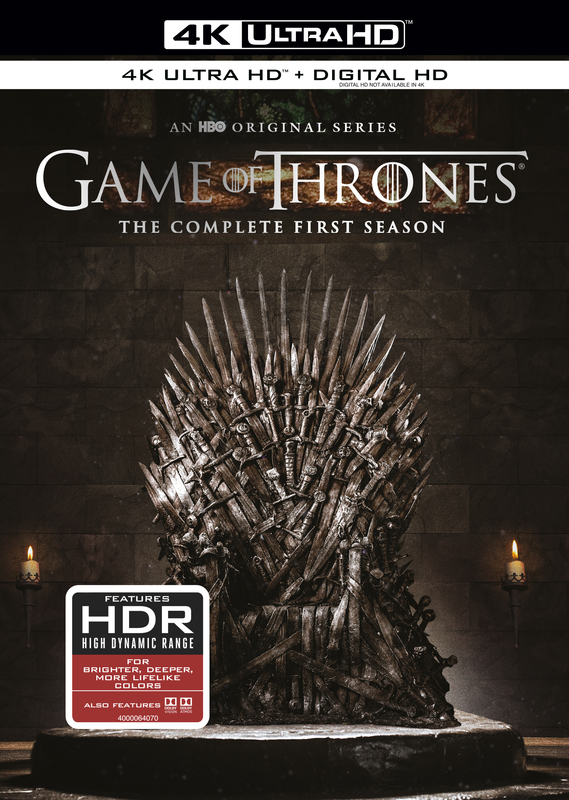 Relive the warmer days and calmer nights of Westeros when Game of Thrones: The Complete First Season makes its highly-anticipated debut on 4K Blu-ray optimized for Dolby Vision High Dynamic Range. Includes all 10 episodes beautifully redone in 4K format to give fans the ultimate clarity and detail on HDR TVs. An amazing TV series, one of the best finally now on 4k Ultra HD Blu-ray, and in Dolby Vision and Dolby Atmos, what more could you want?